This 2019 Mercedes-Benz S-Class S 450 is offered to you for sale by Mercedes-Benz Of Honolulu. This Mercedes-Benz includes: PREMIUM PACKAGE Keyless Start Seat-Massage Cooled Front Seat(s) Hands-Free Liftgate Back-Up Camera Power Passenger Seat Power Driver Seat Heated Front Seat(s) Power Door Locks Keyless Entry Remote Trunk Release Bucket Seats *Note - For third party subscriptions or services, please contact the dealer for more information. * Pull up in the vehicle and the valet will want to parked on the front row. This Mercedes-Benz S-Class is the vehicle others dream to own. Don't miss your chance to make it your new ride. No matter the varying terrain or weather conditions, this all-wheel drive vehicle will help you reach your destination safely and securely in a well-appointed cabin with many features found on cars twice the price. Where do you need to go today? Just punch it into the Mercedes-Benz S-Class on-board navigation system and hit the road. This 2019 Mercedes-Benz S-Class S 450 is offered to you for sale by Mercedes-Benz Of Honolulu. This Mercedes-Benz includes: PREMIUM PACKAGE Keyless Start Seat-Massage Cooled Front Seat(s) Hands-Free Liftgate Back-Up Camera Power Passenger Seat Power Driver Seat Heated Front Seat(s) Power Door Locks Keyless Entry Remote Trunk Release Bucket Seats *Note - For third party subscriptions or services, please contact the dealer for more information. * Pull up in the vehicle and the valet will want to parked on the front row. This Mercedes-Benz S-Class is the vehicle others dream to own. Don't miss your chance to make it your new ride. This vehicle has an added performance bonus: AWD. It improves handling on those winding back roads, and gives you added safety and control when driving through wet and snow weather conditions. Beautiful color combination with Designo Diamond White exterior over Black interior making this the one to own! You can find this 2019 Mercedes-Benz S-Class S 560 and many others like it at Mercedes-Benz Of Honolulu. This Mercedes-Benz includes: DRIVER ASSISTANCE PACKAGE Lane Departure Warning Lane Keeping Assist Adaptive Cruise Control PREMIUM PACKAGE Keyless Start Seat-Massage Cooled Front Seat(s) Hands-Free Liftgate Rear Parking Aid Back-Up Camera Power Passenger Seat Power Driver Seat Heated Front Seat(s) Power Door Locks Keyless Entry Remote Trunk Release Bucket Seats *Note - For third party subscriptions or services, please contact the dealer for more information. * There's a level of quality and refinement in this Mercedes-Benz S-Class that you won't find in your average vehicle. Beautiful color combination with Designo Diamond White exterior over Silk Beige/Espresso Brown interior making this the one to own! You could keep looking, but why? You've found the perfect vehicle right here. This 2019 Mercedes-Benz S-Class S 560 is proudly offered by Mercedes-Benz Of Honolulu This Mercedes-Benz includes: DRIVER ASSISTANCE PACKAGE Lane Departure Warning Lane Keeping Assist Adaptive Cruise Control PREMIUM PACKAGE Keyless Start Seat-Massage Cooled Front Seat(s) Hands-Free Liftgate Rear Parking Aid Back-Up Camera Power Passenger Seat Power Driver Seat Heated Front Seat(s) Power Door Locks Keyless Entry Remote Trunk Release Bucket Seats *Note - For third party subscriptions or services, please contact the dealer for more information. * You appreciate the finer things in life, the vehicle you drive should not be the exception. Style, performance, sophistication is in a class of its own with this stunning Mercedes-Benz S-Class. You've found the one you've been looking for. Your dream car. You can finally stop searching... You've found the one you've been looking for. This outstanding example of a 2019 Mercedes-Benz S-Class S 560 is offered by Mercedes-Benz Of Maui. There's a level of quality and refinement in this Mercedes-Benz S-Class that you won't find in your average vehicle. You've found the one you've been looking for. Your dream car. This is about the time when you're saying it is too good to be true, and let us be the one's to tell you, it is absolutely true. Just what you've been looking for. With quality in mind, this vehicle is the perfect addition to take home. This outstanding example of a 2019 Mercedes-Benz S-Class AMG S 63 is offered by Mercedes-Benz Of Honolulu. This Mercedes-Benz includes: DRIVER ASSISTANCE PACKAGE Lane Departure Warning Lane Keeping Assist Adaptive Cruise Control WARMTH & COMFORT PACKAGE Cooled Rear Seat(s) Heated Rear Seat(s) Heated Steering Wheel Seat Memory REAR SEAT PACKAGE Multi-Zone A/C A/C Climate Control Rear A/C *Note - For third party subscriptions or services, please contact the dealer for more information. * You deserve a vehicle designed for higher expectations. This Mercedes-Benz S-Class delivers with a luxurious, well-appointed interior and world-class engineering. No matter the varying terrain or weather conditions, this all-wheel drive vehicle will help you reach your destination safely and securely in a well-appointed cabin with many features found on cars twice the price. You've found the one you've been looking for. Your dream car. Rated #1 in its class by U.S. News, the Mercedes-Benz S-Class delivers outstanding performance and a feature-packed interior. Browse our online inventory today, then visit Mercedes-Benz of Honolulu to test drive a new Mercedes-Benz S-Class for sale! Why Buy a Mercedes-Benz S-Class from Us? When you finance a new S-Class model with us, you receive a wide selection of benefits, including ever-changing service specials, complimentary pick-up and delivery, and more! Furthermore, our service team is made up of highly-trained, certified technicians who complete repairs with nothing but genuine OEM parts. 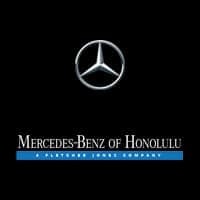 Contact us today with any questions about the Mercedes-Benz S-Class price or to learn more about the perks of shopping at Mercedes-Benz of Honolulu!